Oh my god, as soon as I saw the picture on your twitter, I knew this would be about Reckless Ruby! It was my absolute favourite as a kid, and I constantly asked my parents to let me read it to them at bedtimes or have my brother read it to me in peculiar voices. I even did a small project about it in primary school. I too have revisited it later and realised maybe why I loved it so much- the mad illustrations, the extreme and funny humor, and most importantly the feminist aspect of the feisty girl rebelling. I'm not sure about today's publishing world. I think it's easy to sigh with nostalgia, but I imagine there's still fabulously dark tales for kids being published because so many writers will be influenced by the the likes of Maurice Sendak, Roald Dahl and others. How do you find time for school with all the writing you're doing? A delightful dilemma if it is one. I enjoyed your pieces very much. About Le Pen, her popularity is very troubling, and well done for being there - on the outside! I love how you are protecting the tree fort. 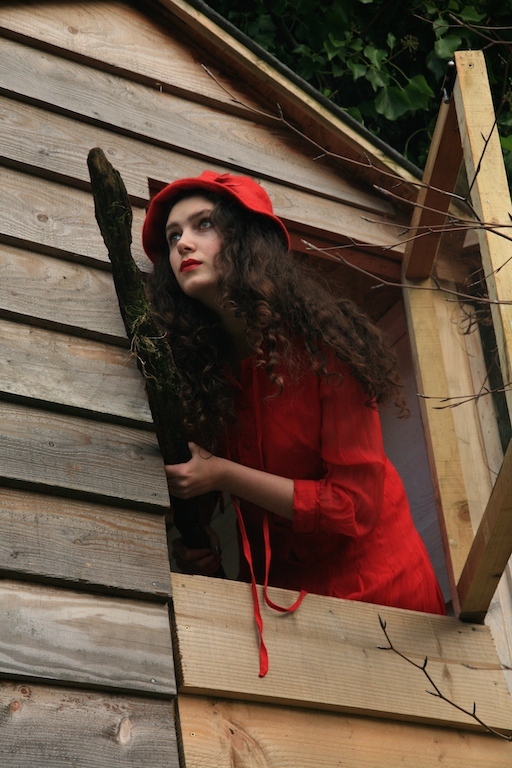 Your red reminds me of a very strong-willed Riding Hood who would never be tricked by a wolf. Beautiful shoot. I think books definitely showed me that girls don't have to be in any particular way, they don't have to abide by what is expected of them (I was raised in a similar way, made to believe that girls/women are second to boys/men. That marriage is my ultimate goal and having kids and being a mum are the second). I don't think I ever read reckless ruby though she seems like a character I would love. I remember reading paper bag princess and having full admiration for Lyra from Phillip Pullman's his dark materials. 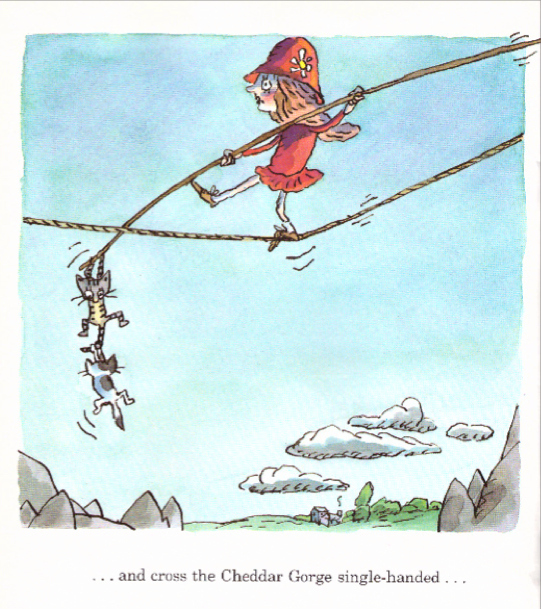 I loved Matilda in Roald Dhal (she probably triumphs in my eyes when it comes to book characters) I even convinced myself that I could have telepathic powers if I put my mind to it. All of these characters helped build my views on so many important things. It's interesting to wonder whether these books would be published now. My immediate response would have been yes. If I focused on specifically the message behind the story then I would think yes. I do believe that there have been improvements in products that are aimed at children today. There are dolls that look like real girls (!) and even Disney now has a film where happily ever after doesnt mean finding your prince. But then taking into account the health and safety of it all--I can imagine George's marvelous medicine being a firm no for today--perhaps it wouldn't which is of course a great shame. Love your adaptation into Reckless Ruby, you look absolutely wonderful. I especially love the shoes that you've combined with dress. These two books weren't on my list as a child, but I love what you say about them! And as frequently as I try to pop my head into the children's section of bookstores, maybe I'll keep an eye out for them now. 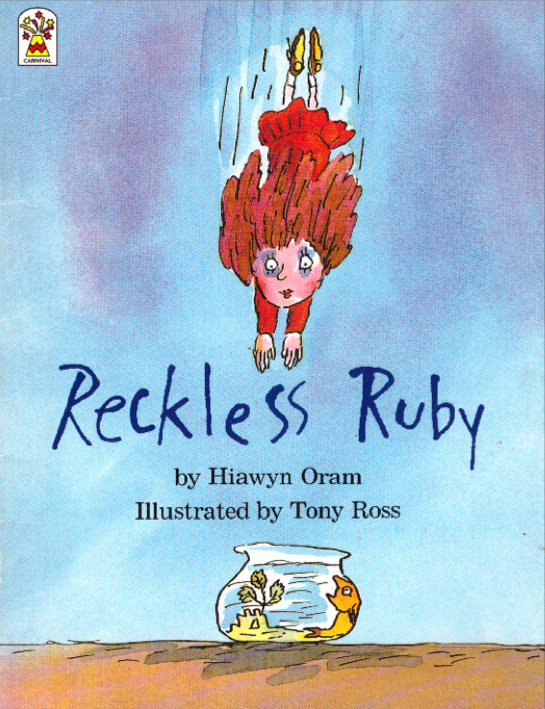 Worringly, I think you may be right about Ruby not being able to be published now when concerns about safety are so high; but my fingers are crossed that children's literature will continue to have the wide variety and scope that it did when we were kids. 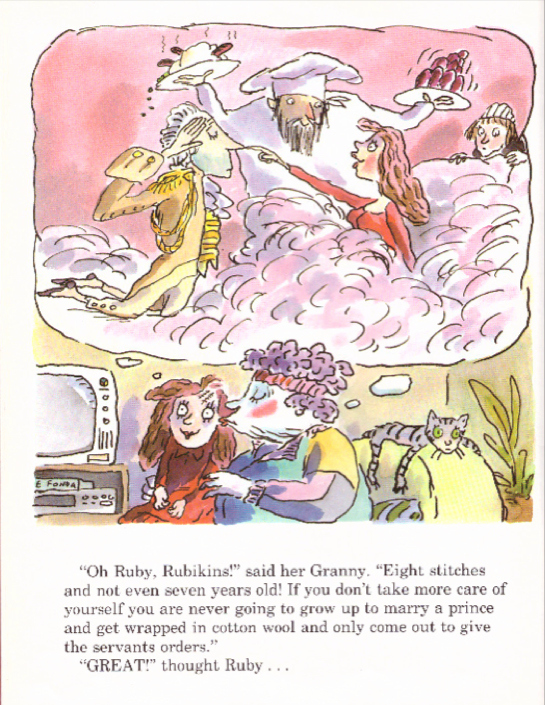 Aw, I am with you on always re-loving and recapping on children's books. So many treasures. I had the Babette Cole book, but not Reckless Ruby. I did have 'A Nice Walk in the Jungle' which is about a class of school children eaten by a boa constrictor and then their teacher punches it on the nose to get it to throw them up. Yes. I often wonder if that would get published today! 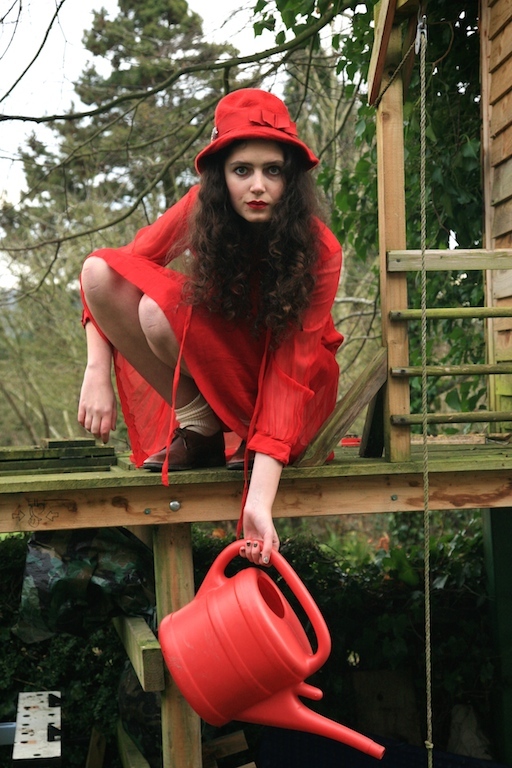 I love the fun you have with your photoshoots, clambering in that castle and finding the matching accessories. You definitely push the boat out for your blog and that's awesome. I think that books come and go in fashions too and I hope that the precious princess fad is coming to an end, with campaigns like let toys be toys it's clear that lots of parents are a little done with it. ps. Did you ever read puddle lane books? I loved them but no one else seems to have come across them. I feel like there has been a backlash against feminism in recent years, so it makes sense that children's literature would pay a price. But I agree with Lola, who I think is referring to Frozen -- I like that the ending emphasizes sisterly love over romantic love. Aaaah you make so many great points!! And oh my god Babette Cole I loved her. This reminds me of something I used to think about a lot, which was that the most difficult sort of author to be would be one for children, as they get bored with any story that isn't simply extraordinarily good. What you've said on the "industry almost entirely dictated by market forces" I hope this idea can still hold true. And we need more anti-patriarchy stories for kids for sure!!! You are just amazing when you emulate characters!! You always find the right place, the right dress, the right vibe!! I wish I have known Ruby as a child... maybe i would have more courage to be different. This is the first time I'm seeing this character, but she sounds delightful. Your own images of reckless Ruby are amazing...love what you're wearing...and the photos even more...and the text the most. I'm quite worried at how stereotypical children's literature is these days....and you're quite right...who know would it get published nowadays.... I always have hard time buying stories for my nephew because most of them are boring...so most of the time I invent stories for him. Congrats for that article on second hand shopping being published...I'll check it out. Love the dress and your fun pics!